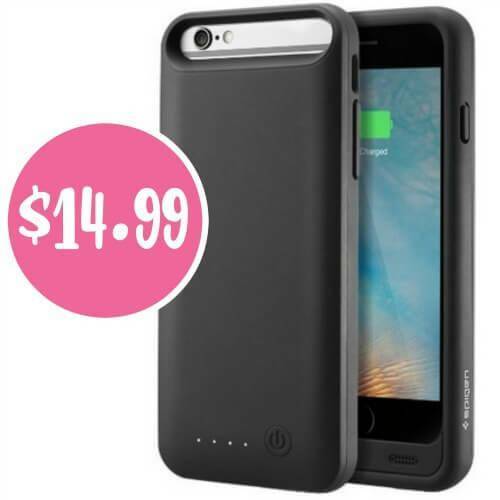 Home / Deals / Online Deals / Amazon Deals / Best Price on an iPhone 6/6S Battery Case! I have a FANTASTIC deal for you today on this great iPhone 6/6S Battery Case on Amazon! Right now you can grab this great battery case for just $14.99 + FREE shipping with Amazon Prime! Right now Amazon has this great iPhone 6/6S Battery Case is regularly priced at $99.99, but right now it’s on sale for just $35.99 and you can use the coupon code: 28FAEX3B to get this great charging case for just $14.99 + FREE prime shipping. Check out this HOT deal going on today on Amazon. This promo code isn’t working.